Welcome Dr. Chad Whyte to the Team of Experts at Migraine.com! 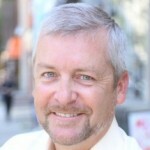 We are excited to welcome Doctor Chad Whyte to the panel of Physician experts on Migraine.com. Dr. Whyte is an Attending Neurologist at Presbyterian Neurology Center in North Carolina. In fact, Dr. Whyte, a board-certified headache subspecialist, is currently the only headache fellowship trained neurologist based in Charlotte, North Carolina. Please join me in welcoming Dr. Whyte to Migraine.com. Dr Whyte – do you live in Bellevue NB or in Charlotte NC? I am in winfield, KS so was just wondering? Dr. Whyte, I just scheduled an appointment to meet with you. I look forward to meeting you and learning more about how to control my migraine. I have been having migraines for a little over a year now. First of all, Welcome Chad Whyte. I am new to this website. I have been battling a Migraine now for 10 months. It began back in June of 2010. If there is a way to email you or talk to you about what I have been going through and see what you may have to say or see if you have any suggestions that would be GREAT! I really don’t know how much more I can take! No one around here seems to know how to help me! I need someone who will HELP ME, I need ANSWERS! The pain is just getting to be too much! Thank you. I look forward to adding all types of information out there to this website and help patients with advice! Please welcome Dr. Whyte, a board-certified headache specialist and our most recent addition to the team of experts here at Migraine.com!